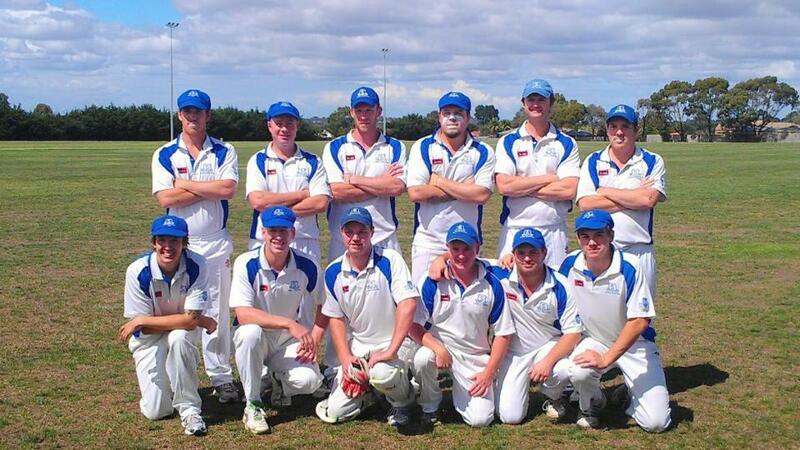 We travelled across town to face rivals Sunbury United in the McIntyre Cup Grand Final in our first season back in the senior grade of the GDCA. United won the toss and elected to bat. Dark clouds loom in the background as play gets underway with immediate success, SCC Captain Jason McGann leading the way breaking through in his first over. The Sunbury attack were well on top in the first hour as Jason captures another two wickets ably supported at the other end by Paul ‘Smoke’ Newton. Rain interrupts play after only 1 hour and 10 minutes of play, United at 3/50, 18 overs. With all the momentum Sunbury’s way, United’s Billinghurst, Watts and Morrison in the shed without troubling the scorers much, Powell somehow managing to survive a confident appeal on his first ball and Morse playing across the line, the rain storm couldn’t have come at a worse time. Play resumed after an early tea only for a short time, this storm front was torrential, play abandoned for the day at 3/53, 19.2 overs. 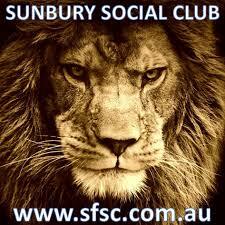 Day 2 proved to be extremely difficult for the Sunbury players and supporters alike. Heavy rain overnight and early morning showery conditions left the ground damp and the Antarctic like wind howling from the South West made for an uncomfortable day for all. And just as in 1990/91 Semi-final between these two clubs controversy dominates discussion at the end of the first full days play. Bowling was tough going especially from the Northern end, the run ups and out field slippery. Without losing an early wicket United steadily built their total taking advantage of their small ground. Steve Treweek (11o,4m, 0/39) proving to be a player of the future bowled an honest spell with out luck. Paul Newton (26o,5m,1/76) having to resort to a shortened run up breaks through bowling Morse (64) but as the blustery conditions worsen so does the look of the scoreboard. Heath Boffey (13o, 1m, 1/43) and Brad Hunter (9o, 1m, 0/35) find the going almost impossible bowling into the gale. The partnership between Powell (102) and Dowsett (71) set United up for a substantial total. After tea the pitch and field dried out considerably and with the new ball Sunbury found its way back on track again, Jason McGann leading the charge. As United skipper Hughes was taking the bowling on and scoring quickly, Jason in attempt to stem the run rate bowls a brute of a delivery striking Hughes to the jaw. In controversial circumstances the wicket is broken and Hughes stumbles to the ground. After heated debate involving both captains, the call from the umpires is not out, sending club officials reaching for the rule books and supporters from both sides in disagreement. Hughes (20) left the field retired hurt, soon after Jason picks up his 5th wicket, ending the days play for United at 7/292 off 99 overs. Jason McGann finished the day with an impressive (32.5o, 11m, 5/59) in an inspiring display. Hughes was reported in the press to have suffered only a minor injury requiring four stitches and is set to resume next week. Sunbury are looking to strike early when play resumes and begin the run chase to victory. Come down and support the team next Saturday at Langama Park, 1.00pm start. Sunbury win a tight contest against Wallan to make this seasons McIntyre Cup Grand Final to be played verses cross town rivals and this seasons competition leaders Sunbury United at Langama Park. A huge task awaits Sunbury 1st XI having been promoted back to the McIntyre Cup level just this season and making the Grand Final against minor premiers and odds on favourites, Sunbury United. Even though United have had the better of the two contests earlier this season, Sunbury with a more settled line up have found good form in the latter part of the season. Wallan also had Sunbury well accounted for on two occasions this season only to go down in the semi, Riddell had us on the ropes only a few weeks ago before collapsing and being eliminated from the finals race and leaving their supporters dumb founded. Yes, United, you may be the front runners in this contest but be reassured Jason has his team playing as a tight unit at the right time of year and don’t forget – you will always have the “blue army” to contend with! Having secured a home semi-final due to last weeks outright victory proved a distinct advantage. The Clarke Oval is well suited to Sunbury’s game plan of tight hard cricket. The grand stand full of supporters wearing their blue colours were not disappointed. Having won the toss and batting Sunbury got off to a flyer with A. Riggio finding touch with an attacking 24. Wickets fell early in the second half hour bringing Matt Burrowes and Heath Boffey together at the crease. Heath used his experience and applied himself reaching 24 before skying one, Matt showed grit in the heat of a finals battle making a solid 61 in the middle order and Captain Jason McGann again showed his true all round ability carving an excellent 62 n.o. while batting with the tail. All out for 221 off 73 overs. Day two and the contest begins in hot conditions. Wallan were under pressure from the start with Jason McGann opening up from the pavilion end and Paul Newton attacking from the other. Paul breaks through immediately capturing an opener lbw and set the tone for the days play with aggressive tight bowling. Heath Boffey was introduced into the attack picking up two quick wickets and with great support in the field the visitors were starved of runs from both ends. Robbie Fowler provided the anchor of Wallans’ innings and together with A. Nichols a solid partnership was building and at tea the contest was even at 4/74. Again Sunbury come out bowling well as a team knowing this was the key partnership that stood in their way of victory. An early chance goes begging off Steve Treweek as Wallan fight through the first half hour without losing a wicket but falling behind in the run rate due to the excellent bowing and fielding. With pressure building and forced to begin hitting out A. Nichols attempts a big shot over midwicket off B. Hunter only to be reigned in by an excellent running catch in the outfield by Matt Burrowes. These are the moments that can swing a game in your favour, especially in big, tight finals matches, the crowd knows it and the grand stand erupts in a sea of blue. Getting further behind in the run rate required and losing the wicket of Gilchrist the task was all but lost as Robbie Fowler was finally dismissed in a gallant innings of 63 for his team. Wallan all out for 177, Brad Hunter reveling the pressure situation with 5/35 and Sunbury into the 2012/13 McIntyre Grand Final! All supporters, family and friends, past and present players are urged to come down to the Clarke Oval this weekend, lets see the grand stand full of blue shirts cheering our team to victory! Sunbury face Wallan at home at the Clarke Oval in a sudden death Semi-final to be played on Saturday and Sunday, commencing: 1.00pm. The winner of this match to play off against the winner of the first Semi-final between competition leaders Sunbury United and Woodend.